This week’s episode of Doctor Who was set in Victorian England! It started off as a Gaslamp Fantasy, which I was thrilled about, but ended up being a sci-fi episode. I had a great time watching it nonetheless! This week I wrote a guest post on Aimee L. Salter’s blog about Writing Rules. On my blog, I discussed How To Make The Most of a Novel Writing Month When You Don’t Have Time For It. There And Draft Again now has over 100 followers and this week, Mara posted about Creating Fantasy Creatures and Rachel shared her Top Ten Fantasy Movies. Meanwhile, The Write Stuff for Boston Auction is still in full swing and I suggest you check what’s being auctioned every day. Whether you’re a reader or a writer, there’s something for you there! Finally, in case you missed it and if you need to smile… here is a Channing Friday post. I promise you it’s awesome. Next week I shall finish Lily In The Shadows. There’s no going back, now. This entry was posted in A Round of Words in 80 Days and tagged A Round of Words in 80 Days, Doctor Who, EM Castellan, Gaslamp Fantasy, Lily In The Shadows, ROW80, writer's motivation, writing. Wow, so thrilled you are almost finished Lily in the Shadows. You are a huge inspiration. *cheers wildly on sidelines*! Glad to hear you enjoyed the Channing post 🙂 Thanks for your support, I will try to make the most of this week too! Writing every day is hard. Awesome that you’re keep some of the CampNaNo momentum going. I fell down on that completely…. Yay for the news on Lily in the Shadows. Yay for adding so many words this week! (I know, I know, I’m behind on my blog reading.) 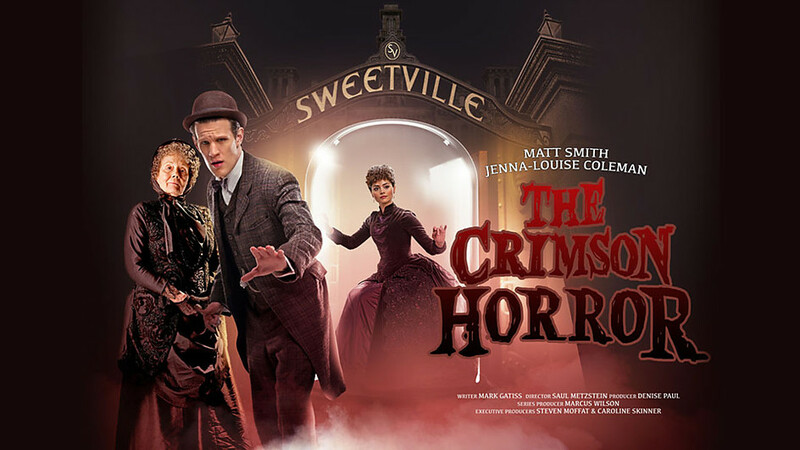 I really,REALLY didn’t enjoy “The Crimson Horror.” I hate saying that, because Doctor Who is one of my all-time favorite shows, and I really do love it to death. But I guess you can’t love them all.